Hey there fashionistas! 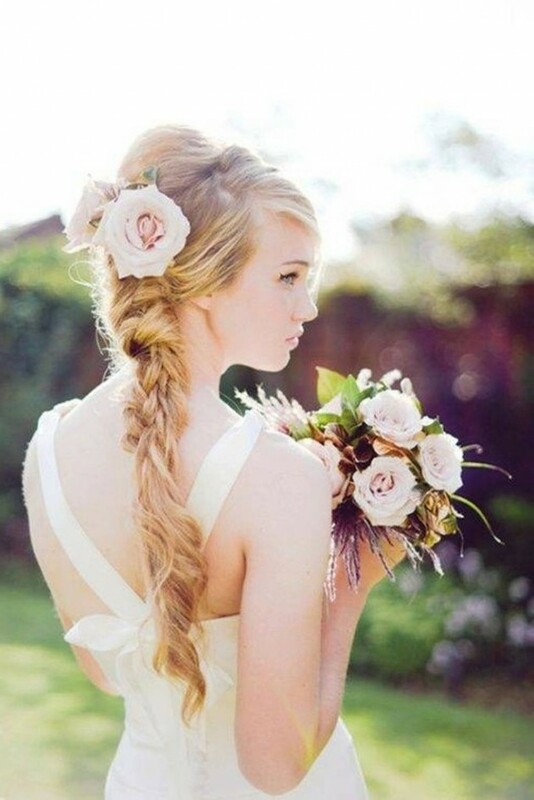 Every girl dreams of the day she gets married, and has million scenarios in her mind. I bet you have thought about everything to the smallest detail, starting from the way how your dress will look, your shoes, makeup, nails, hair and even accessories. We girls want everything to be perfect so when that day comes, we become obsessed. We wander the internet to find tons of ideas and see if something meets our tastes and desires. 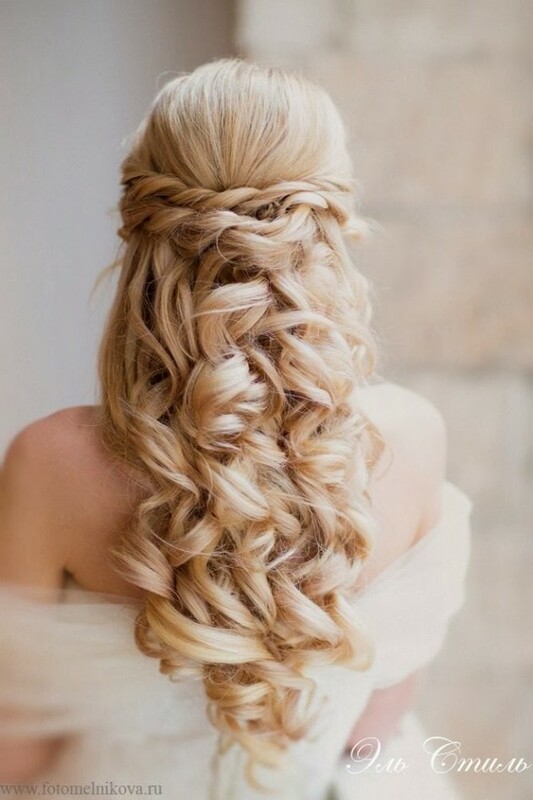 In this post we are going to make the things easier for you, so if you were thinking about some hairstyles with braids here you can find plenty of them. 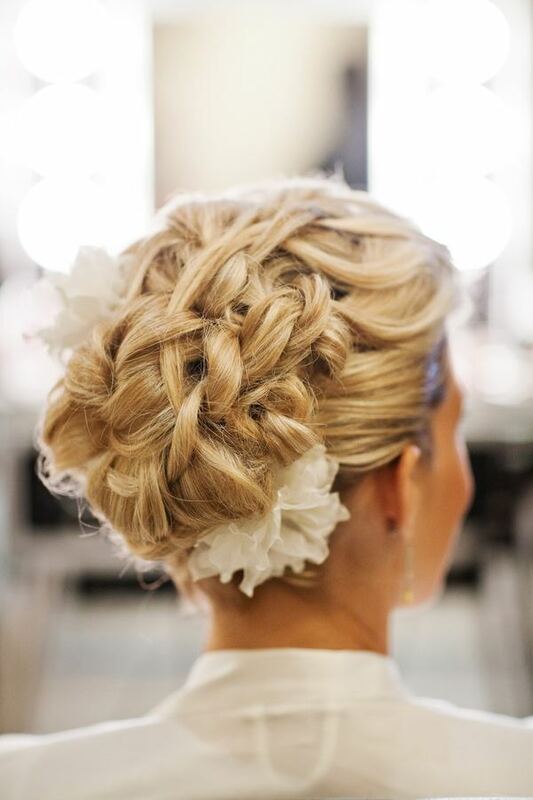 Scroll down and take a look at 15 Braided Bridal Hairstyles That You Are Going To Love. 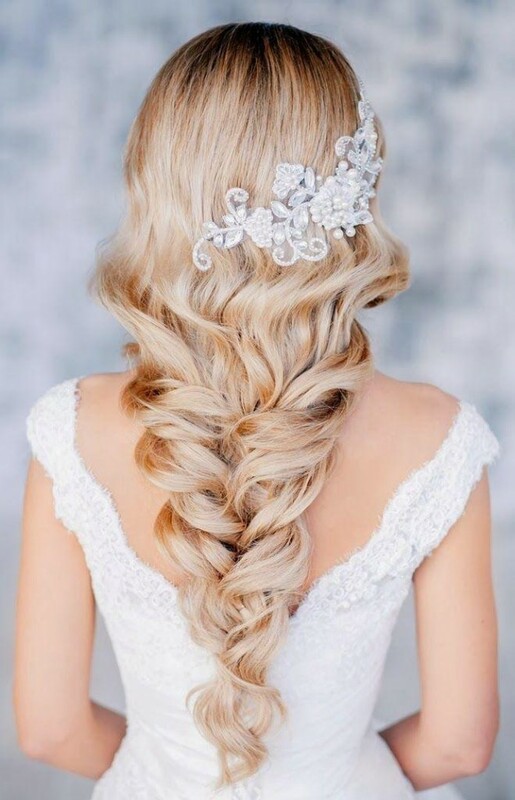 Most of the brides will go for some more traditional looks, like an up-do or all the hair down, but we find braided hairstyles to be very elegant and sophisticated. 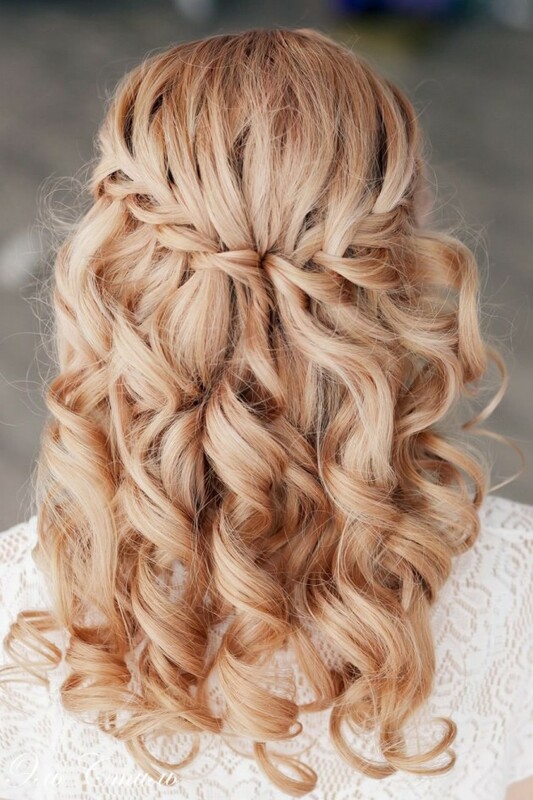 They look great on every hair color and length. If you have long hair the opportunities are endless. You can be creative and do whatever you want. If you lack inspiration, just find it in the photos below. You are going to love them all! 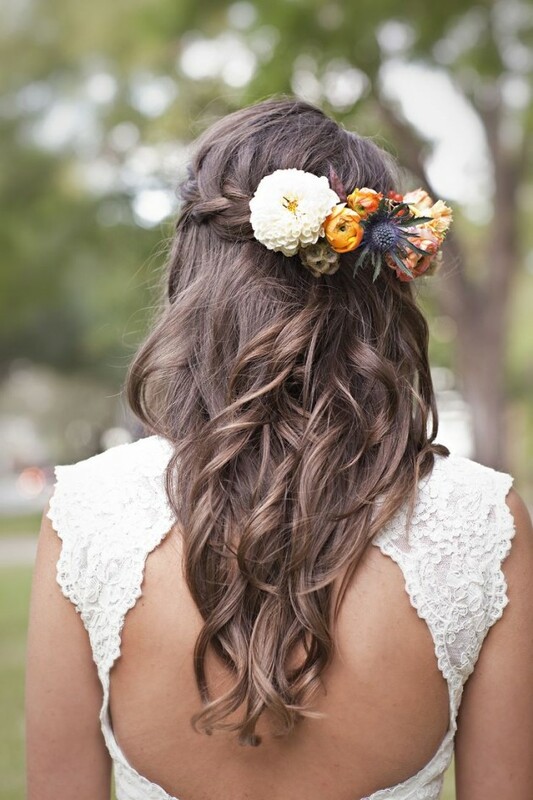 Your whole hair doesn’t have to be in braids for a cute look. 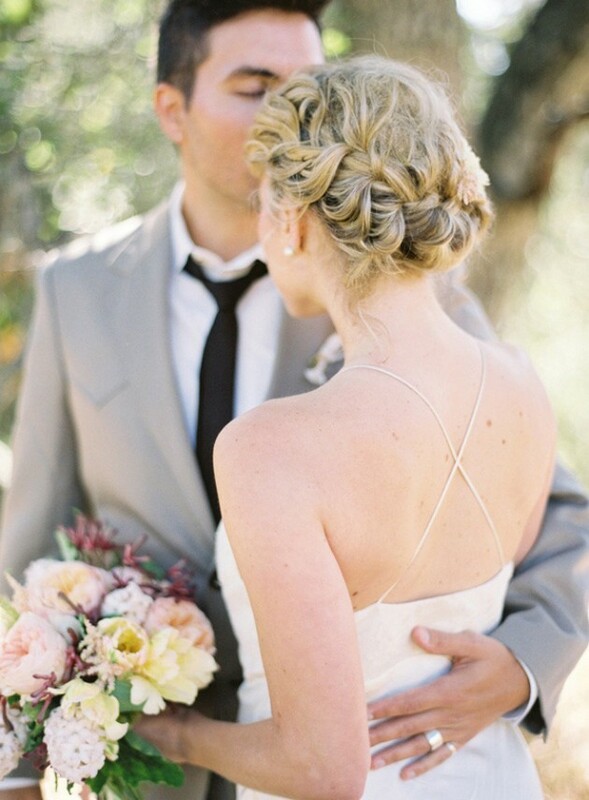 Only one simple braid that is made from your fringes is enough. 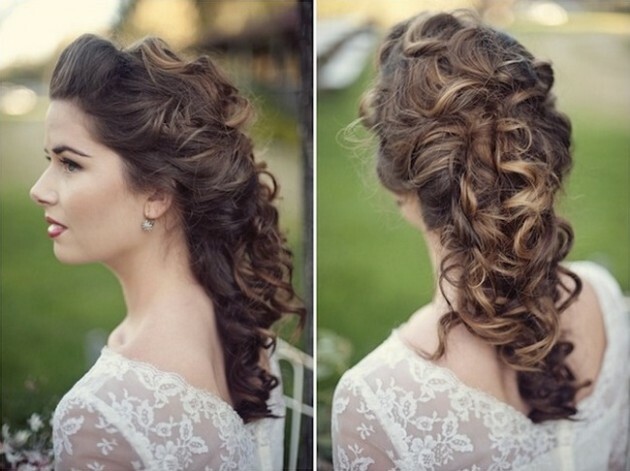 The hairstyle of the girl in the photo below looks simple yet sophisticated. 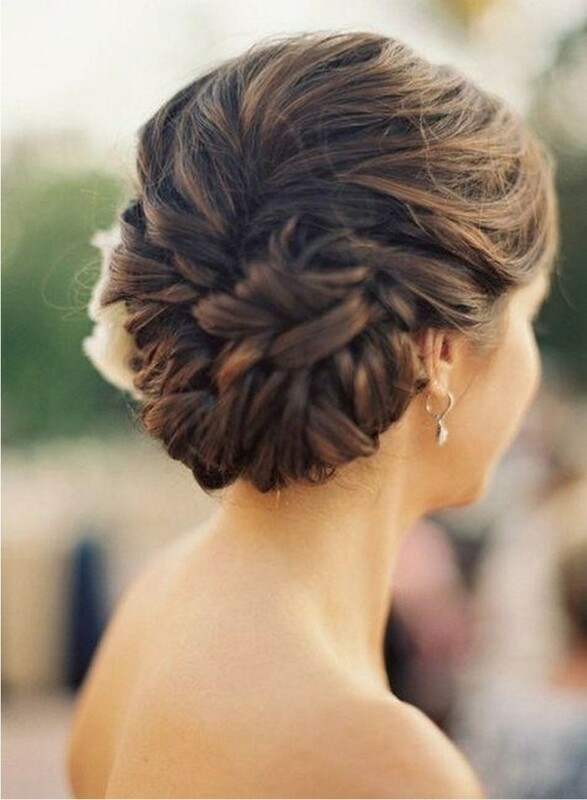 This hairstyles out your whole hair up in a braid and it isn’t going to bother you during the whole day. If it’s hot it won’t stick to your face, and you will be able to dance without having to think whether it looks ok. It’s going to remain as it was firstly made. 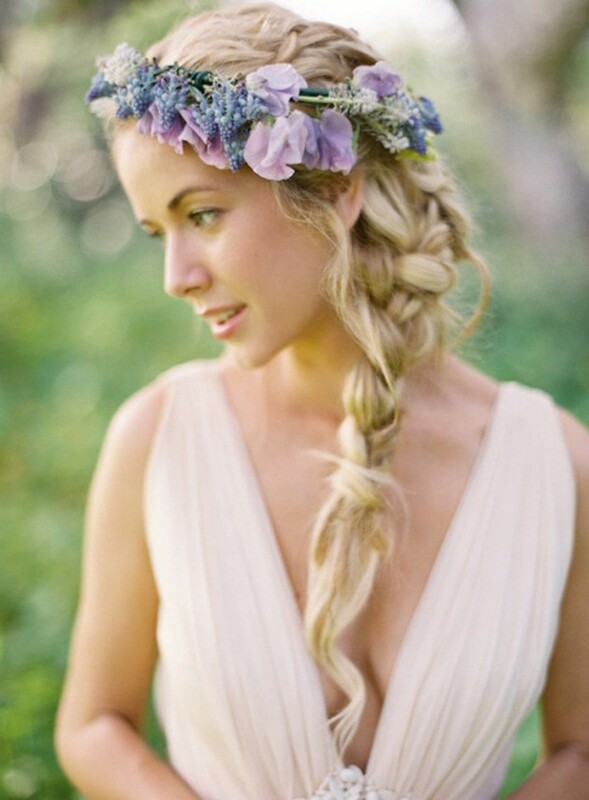 Braided hairstyles featured with flowers look outstanding. 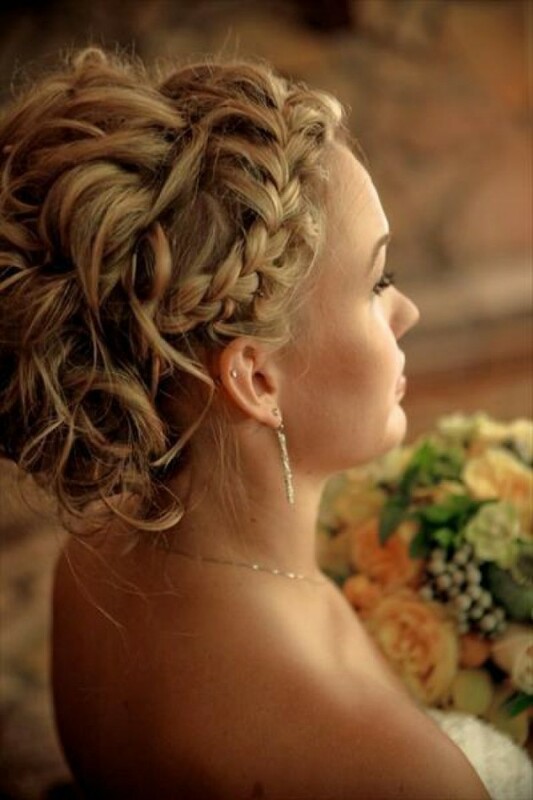 They convey a sense of freshness and are popular hairstyles for wedding on the outside or on a beach. 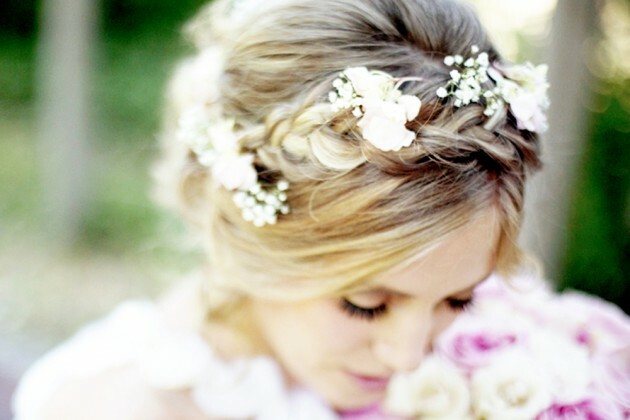 Maybe it will be hard for you to choose the right hairstyle, but when you do make sure you make a few trials to see whether it suits you the best, so that you don’t find yourselves crying on the big day. Plus, you should be sure whether it matches your dress and makeup. Make the best choice, and years after the wedding you will be looking at the wedding photos, glad at the choice you have made.